Fynskrif (Fineprint) is a South African, Afrikaans-language legal drama television series that revolves around the law firm Van Wyk & Vennote (Van Wyk and Partners), in which the lawyers must handle both their legal cases and their personal and family dramas. The drama kicks off with one of the partners retiring, after which the head of the firm gives the partnership to his son (who just returned from Kenya), instead of to his daughter, who has worked at the firm for years. The series focuses on civil (and not criminal) matters, meaning there is no court drama. The show rather focuses on legal issues and the emotions behind them. Guest stars on the show include Armand Aucamp, Amalia Uys, Hannes van Wyk, Stian Bam, Milan Murray, June van Merch and Erica Wessels. 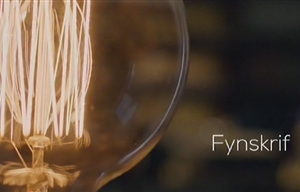 Fynskrif is produced by Moebius Films. The screenplay is by Louis Pretorius and Albert Snyman, who also serve as producers and directors. The supervising producer for kykNET is Marguerite Albrecht. Music is by Braam du Toit. Legal drama Fynskrif premieres on kykNET & kie and BBC First sees the return of the crime drama The Coroner. Project Runway SA minces onto Mzansi Magic, legal drama Fynskrif holds court on kykNET and Ainsley Eats the Street on eBella.